Penn Plaza residents in one building are hoping to move into a second building, in order to have more time to find affordable housing. Pittsburgh officials met with the owners of an East Liberty apartment complex Friday to determine where the remaining tenants can go before their Feb. 28 eviction deadline. LG Realty sent 90-day eviction notices to tenants of Penn Plaza in July. That deadline has since been extended to March 2017 for one of the apartment complex's two buildings and the end of the month for the other. 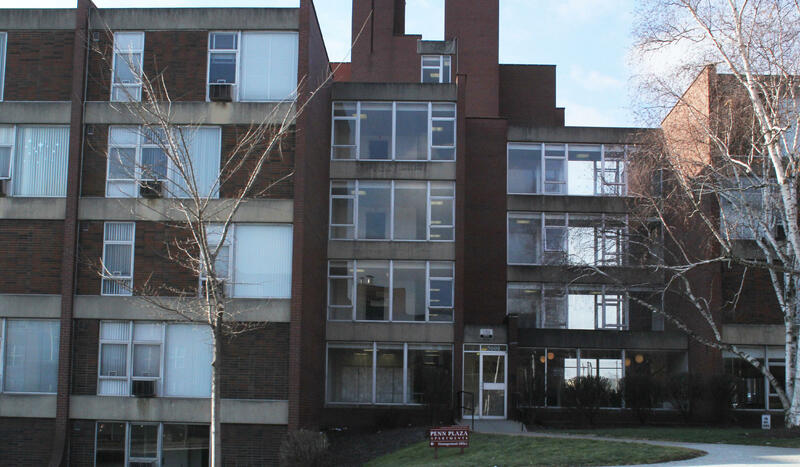 Twenty-nine families still live in the building facing immediate eviction, and some residents have requested temporary transfers to the other building. Residents argue the move would give them more time to find affordable housing in the neighborhood. Myrtle Stern said this the second time she has been displaced. Stern moved to Penn Plaza eight years ago when Auburn Towers in Larimer was demolished. “I’m 75 years old, and I figured this would be my last move," she said. "So they promised me. And here I am trying to pack up to move again." Stern said she is on several housing waiting lists in East Liberty. 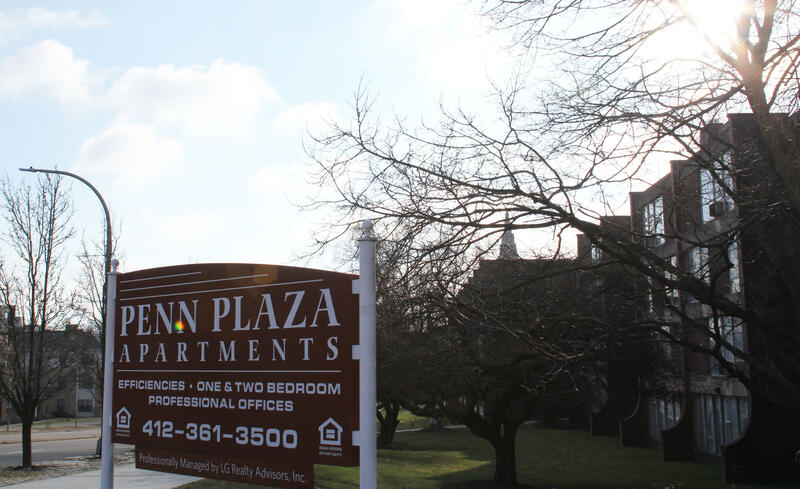 Residents at one of the two Penn Plaza apartment complex buildings will have until 2017 to find new housing. Dana Hogan moved to Penn Plaza three years ago to be near her mother, who also lived in the complex. Her mother relocated to senior housing, but Hogan said she can’t find an affordable place to live in East Liberty. Hogan said she is on three waiting lists ranging from two to five years. The Urban Redevelopment Authority gave the non-profit Neighborhood Allies a grant of $300,000 to help relocate tenants. Bill Bartlett, western Pennsylvania director for activist group Action United, said his priority is to ensure the families living in the building will not be homeless as a result of the forced eviction. He said the residents are being priced out of their neighborhood. “Landlords need to be required to give adequate notice that is appropriate for market conditions,” he said. At Kutztown University, a lot of students live near campus. She's a senior. And every morning she spends at least half an hour driving to school from her apartment.